Timeouts don’t work for every kid and every situation but for some kids and some moments it is the perfect way to handle a situation. My tip below is to get even more benefit out of time outs. Here’s the backstory, my 4-year old daughter used to go to timeout and whine the entire time she was there. It just didn’t feel the most beneficial any more. (I’m a big believer of trusting your parenting instincts.) So I started implementing a new “rule” that the timeout area is not for whining, it’s for silence. Or better yet, for thinking. That’s when a friend of mine suggested the name, the thinking chair. Personally, I’m not getting rid of the name timeout (at least not yet), I’m just tagging the “thinking chair” concept on to it. 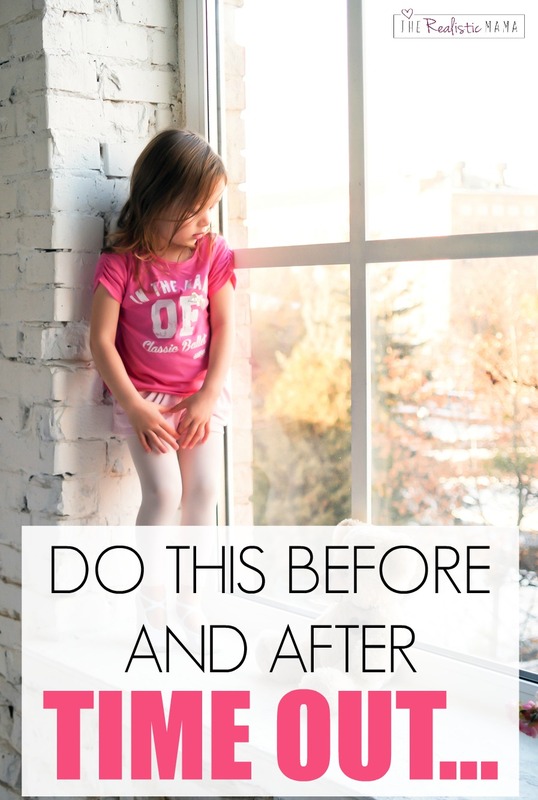 When timeout is over (your house rule might be they can get up when they changed their attitude or when the timer goes off, either way), it’s important to have a conversation with them after. Talk through the entire thing that just happened. Make sure they understand what they did wrong, why it was wrong, why they had to sit in timeout, what they can do next time, how they can apologize, etc. This part is soooo important. This crucial conversation is the most important part of any discipline, it helps them form their inner voice, their inner compass. In essence, you are teaching them HOW TO THINK. This way they’ll learn how to think next time they’re in timeout. And the skill of controlling your thoughts and positive thinking is something that will continue with them the rest of their life and be one of the largest influences on their life. Quick note, this thinking chair concept is not age appropriate for my almost 2 year old. His main job in timeout is to stay there and not get up until I tell him time’s up. But for my 4 year old and her personality the thinking chair concept is perfect. Take action, try it out. Decide if it works for your family. What do you think of the thinking chair concept + teaching them HOW to think? Leave your thoughts in the comments. As always, I love hearing different perspectives as long as you keep them kind and are commenting from a place of love. P.S. Did you know this blog brings in full-time income for our family (and I work part-time hours on it). Last year I made over $85,000 blogging. Click here to learn more about starting your own blog, and writing posts just like this one. We live in a world of abundance, not scarcity, and there is always room for those willing to create awesome valuable content. I have one more thing to help you de-stress and enjoy your life and your family more. Download and print this gorgeous family organizer for free — just click here to download and join our tribe.